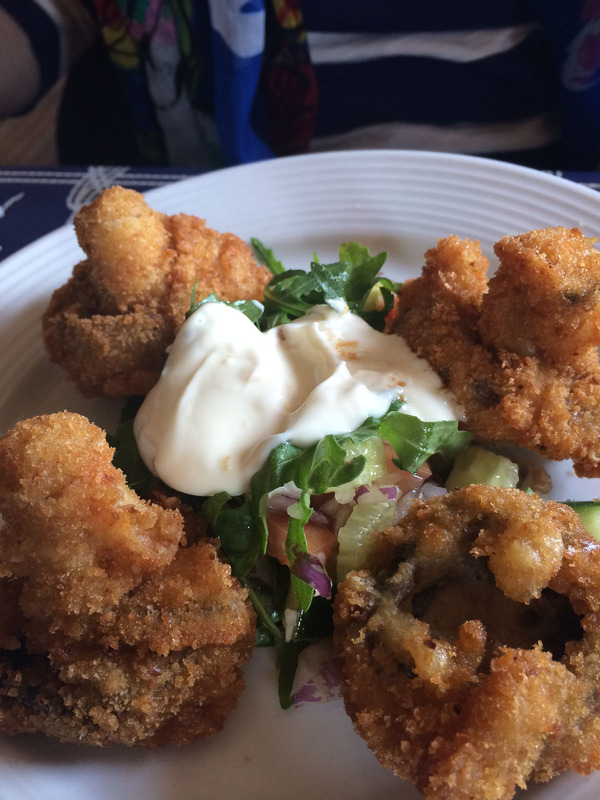 I wrote about an evening meal that we had in the Anchor Hotel in Johnshaven last December where we really enjoyed the experience. We thought that we’d go back and check it out for lunch as we’ve plans to take some friends walking on the Aberdeenshire Coastal path that goes through the village. Johnshaven is a traditional East Coast fishing village with a few boats still landing crabs and lobsters. The upstairs dining room is closed at lunchtime and meals are served in the bar. This is a proper bar rather than a dining room that serves beer – a mixture of local people in for a Sunday lunchtime drink and visitors to the village. 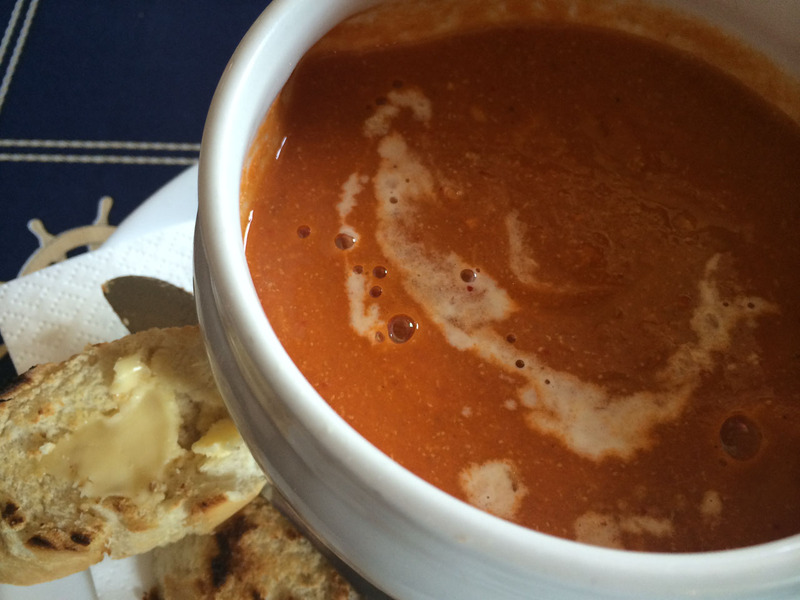 The last time I was there I had some wonderful lobster soup so I opted for that again – it really is superb – better then I’ve had in rather more expensive seafood restaurants. Anne ordered breaded mushrooms which were rather more substantial than she expected. I had a taste of these – a great combination of crisp coating and soft, melting mushrooms. 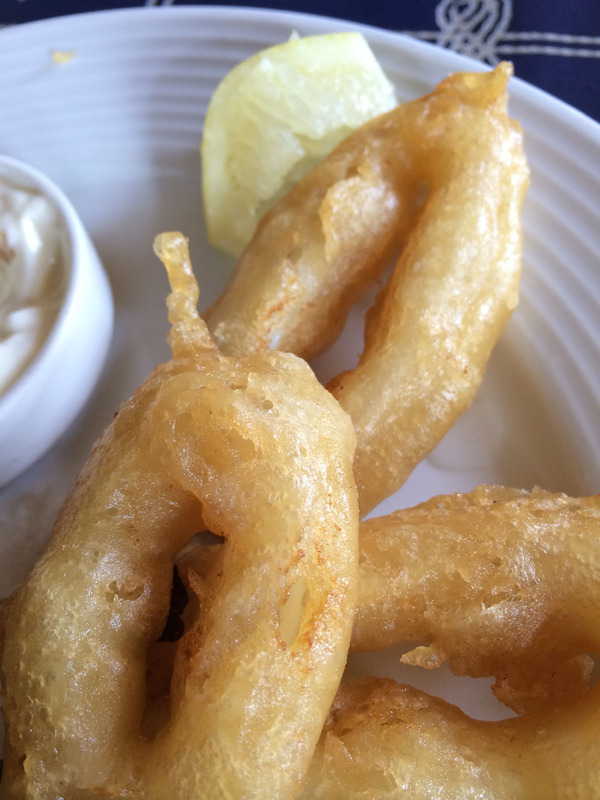 I tend not to eat a lot at lunchtime so I ordered two starters – classic calamari in batter was my other choice. This was fine – nicely cooked – it’s easy to get this dish wrong and end up with rubber rings in batter. But it was just calamari – I regretted not ordering one of the other fish dishes that were being delivered to other tables. This was great pub food using local ingredients, unpretentious and not expensive. Friendly service – not particularly quick but we certainly weren’t in a hurry. Reasonably priced, although seafood is never cheap. We had two starters each and, with a drink, were about £14 each. If you’re in the area, it’s worth a short diversion to Johnshaven. And, for coastal path walkers and TGO Challenge coast-to-coast walk finishers, it’s worth timing your arrival to have lunch in the pub.